It’s not a discovery that ranks up there with the Egyptian tombs, but there are plenty of ‘skeletons in the closet’ about Harley-Davidson products that never made it to production. One such item from the motor company was the NOVA Project which dates back to the late 1970’s and early 1980’s. The company made a decision to start a program for a new family of modular engines built with two, four or six cylinders, and in displacements ranging from 500 to 1500cc. Design and development of the engine was in collaboration with Porsche in Germany. This was “revolutionary” stuff back in the day when AMF owned Harley-Davidson and AMF Corporate initially supported the Nova Project with $10 million. 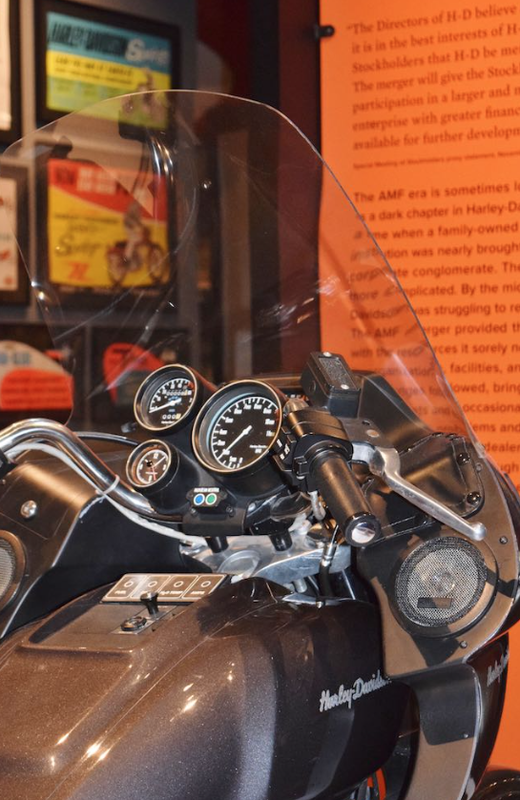 Keep in mind that in June of 1981, AMA Hall of Famer Vaughn L. Beals Jr. and other Harley-Davidson executives (including Willie G. Davidson), were in the middle of executing an $81.5 million leveraged buyout of the company so, AMF protested at the additional millions that would have been required to make the motorcycle a reality. 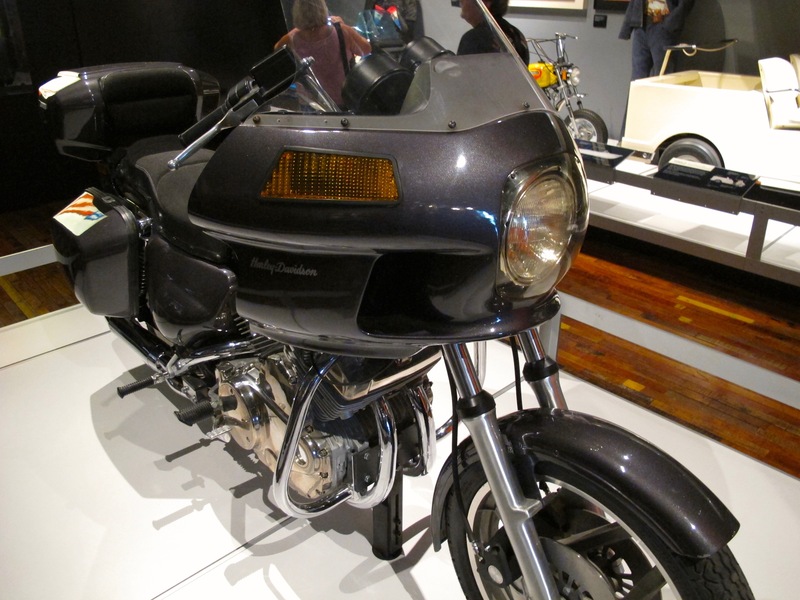 Harley-Davidson was unwilling to explore other alternatives and officially shelved the project in 1983. The only known NOVA Project motorcycle was a “test mule” and it’s unclear how the final version might have looked or been re-styled for a product launch. However, the prototype reveals a lot. The engine was an 800cc water-cooled V-Four, with chain-driven dual overhead cams and wet-sump oiling. Fuel was delivered by Bosch Jetronic fuel injection. The horizontally split crankcases were made provisionally for a balancer shaft, though one may or may not have been fitted to the prototype. The deep finned cylinders and heads revealed the fact of liquid cooling, as did the apparent lack of a radiator. The radiator was, in fact, located above the engine shrouded by a false gas tank that would duct air across it. The real gas tank was located beneath the seat. The fuel filler cap was mounted on the right side of the rear fender. As previously mentioned, Vaughn Beals Jr. was chairman and CEO after the buy-back, and one of the company’s exec’s who actually rode an operational prototype of the Nova motorcycle. Wayne Vaughn was one of the engineers that worked on NOVA under Mike Hillman. The motor company had completed the first phase engine development, and tooled production crankcases. It’s estimated that Harley-Davidson invested between $10 million and $15 million on the entire project including the expensive tooling necessary to manufacture the NOVA before shelving it in favor of redesigning the company’s traditional V-twin engine. Though NOVA never went into production, the program clearly “paid it forward” on future motorcycles and designs. For example, the fairing that was designed and wind tested for the NOVA made it into production the first time and was used on the 1983 FXRT Sport Glide. The NOVA Project was a precursor for the eventual development of the liquid-cooled VRSCA Revolution V-Rod engine. And some elements of the NOVA liquid-cooled design and fuel injection were leveraged in the Twin Cam 88 and Twin Cam 96 to help meet ever tightening emission and noise standards. 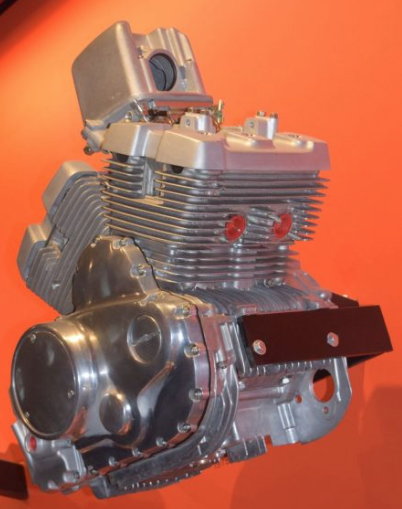 It’s interesting to speculate about how NOVA may have changed the market dynamics of motorcycle industry at the time and the effects these Harley “projects” may have made on future motorcycles and their engines. Harley-Davidson likely finds itself in a position today with the Milwaukee Eight in spite of—or perhaps because of—the no-go decisions and the rejections it’s made in it’s NOVA engineering past. Photos take by author at and courtesy of Harley-Davidson Museum.